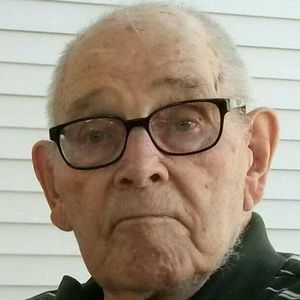 James S. Erickson, age 93, passed away in Madison on Friday, November 23, 2018. He was born on December 7, 1924, in Rio to Ingwald and Bertha (Olson) Erickson. He married Pearl Gross on September 17, 1949 in Sun Prairie. James worked for the Dane Count Highway Department and Steve's Wholesale Cheese in Sun Prairie. He enjoyed gambling, cards, bingo, taking trips, watching kids and grandkids, sports and all school activities. He is survived by a son David (Paula); daughter Susan (Robert) Hunt; grandchildren Scott (Lea) Erickson, Michelle (Anthony) Cook, Drew (Kodie Edmonds) Ritchie, Brent (Alison) Ritchie, and Kayla Hunt (Keith McCullum); and 6 great-grandchildren. He is preceded in death by his parents; and wife. A Funeral Service will be held at 11:00 A.M. on Tuesday, November 27, 2018 at Our Saviors Lutheran Church, 550 Lincoln Drive in Sun Prairie. Pastor Tim Hansen will preside. Burial will be held at Sun Prairie Memory Garden. A visitation will be held from 10:00 a.m. until the time of service at the church on Tuesday. The family would like to thank staff at Oak Park Place and Agrace HospiceCare for their loving and outstanding care.